Racial profiling or race baiting? I have often criticized abuse of power by law enforcement, specifically the mentality that places getting convictions over seeking justice, the alarming overuse of paramilitary strike forces (SWAT teams) and the lack of respect for civil liberties. I was concerned when the federal government passed the so-called "Patriot Act" in 2001 in response to the September 11 terrorist attacks, and I have been critical of the Patriot Act and similar policies for the last eight years. I have since come to realize that the abuses of power in the "War on Drugs" and the "War on Crime" laid the foundation for the expansion of government power we have seen in the War on Terror. We have seen our civil liberties eroded as politicians implement sometimes draconian policies to avoid the dreaded accusation that they are "soft on crime." Furthermore, some are far too quick to give the benefit of the doubt to police when controversy arises over appropriate exercise of authority. While I respect those in uniform and appreciate their service, I maintain that there must be a reasonable and healthy skepticism of law enforcement in order to preserve liberty. 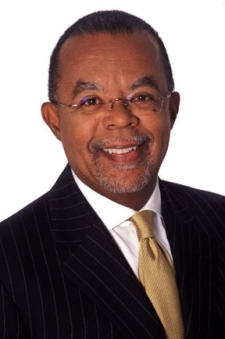 This leads me to the arrest of Harvard professor Henry Louis Gates Jr. for disorderly conduct after police investigated a suspected burglary at his home. (Charges have been dropped.) When police arrived and asked to speak with Gates, he asked "Why, because I'm a black man in America?" Here is the problem. Gates forced his way into his own home after he got back from a trip because the front door was not functioning properly. This is a perfectly reasonable response, and he contacted the property management company to deal with the maintenance issue. He probably assumed that would be the end of it. But what Gates fails to realize is that the police response is also reasonable. In the dark, a woman reported to police that there was a break in at his home. Think about the perception: the professor is away on a trip overseas, and an unknown person is forcing his way into the professor's home. The concerned person who called police was looking to protect Gates from being robbed. This could have been easily resolved had Gates been reasonable and not immediately taken the posture of an aggrieved victim of racism. Did he not understand why the scenario seemed suspicious? The solution is (or at least should be) obvious. Identify yourself, explain the situation to the police and why you had to force entry, and thank them for their efforts to protect your home and property. While it is reasonable for Gates to be suspicious and carefully guard his rights, it is also necessary to respect the authority of the police officer and cooperate. There was no need for a confrontation. Is it possible that the professor might have been a victim of racial profiling? Of course it is possible. But that doesn't take away the fact that the situation was suspicious and merited investigation, even though no criminal activity had taken place. Obviously, there should be a proper and unbiased review of the incident, examining the police officer's record and the facts of the case. If the police acted improperly then there should be appropriate disciplinary action taken against the officer. What we do not need, however, is for shameless race-baiting demagogues like Al Sharpton to make a media circus out of it. We do not need Sharpton to purposefully inflame racial tensions for the sole purpose of getting himself face time in front of television cameras and getting himself quoted in printed media. A distinguished Harvard professor does not need a professional agitator like Sharpton to advocate on his behalf. Sharpton's presence will do no good and accomplish nothing other than feeding the man's addiction to publicity. Sharpton needs to shut his mouth and stay out of it.